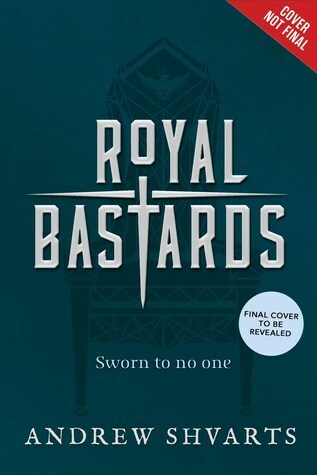 Royal Bastards was one of my most anticipated books of 2017. I was super excited to start it but it took me forever and a half to finish it. This book is such a roller coaster. I liked it and then I didn’t think I could finish it, it was such a back and forth battle. But even though I have my problems with this book, it got me emotionally invested in the plot and the characters. My biggest problem with this book is the characters. Two of the main characters, Tilla and Miles, annoyed me so much. Miles was such a boring character to me and Tilla was just really mean at times. She was so unsympathetic a few times toward Lyriana and it really bothered me. I’m not going to go into detail because I won’t give out spoilers but she was kind of mean with her thoughts. She caught herself and changed her thinking, which I appreciated, but I still thought it was really mean of her. I did like the writing style but the dialogue was oddly modern at times and it threw me off. Maybe I’m just being overly critical but it was just the little things in this book that bothered me. I loved the concept and plot so much. If I didn’t find Tilla and Miles to be so annoying, I would have had a blast reading this book. One thing that really surprised me was how unexpectedly violent this book was. I don’t really have a problem with it but if you’re sensitive bloody fight scenes, you might want to pass on this book or just skip through those parts. Overall, even though I’m not head over heels for this book like I thought I was going to be, I loved the concept, plot, and three of the characters. This book did keep me engaged and I was emotionally invested. If you’re a critical reader like me, this book might not be for you, especially if you expect a lot from fantasy books. I do think it’s worth the chance though. Just don’t have super high expectations like I did. So glad to see this review. I’ve been curious about this book. When you mentioned that the dialogue is modern at times, it reminds me of Lady Jane. If you’ve read that one, do you think there are other similarities between the two books? I’m so excited to read this book. Especially now you mentioned Lyriana being a POC! I agree, POC are much needed in fantasy especially. It’s good to know that the dialogue is modern at times, because I think that if I hadn’t known it would throw me off too. Great review!